ERNI has developed the industry's first miniature, anti-magnetic hermaphroditic connector. 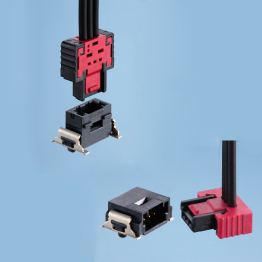 The 0.8mm MicroStac® SMT connector series to include anti-magnetic versions with 12 pin (single row) and 54 pin (dual row) configurations with a 5 mm board-to-board stack height and a 1.5 mm effective wipe length. •Designed specifically for medical and instrumentation applications such as MRI machines, where ferrous materials can be hazardous and degrade test results. •Based on a patented hermaphroditic design that combines male and female connector halves into one solution. Most recently, modern lighting solutions for the automotive sector – from dashboard lighting units to LED front lights – call for correspondingly efficient controllers and connectivity solutions. Dual- and single-row product families are often found in automotive LED lighting applications due to the desired mechanical benefits, current-carrying capability, and small form factor. 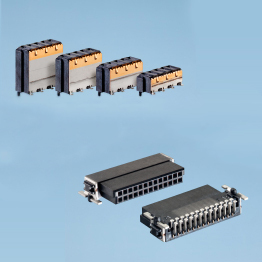 ERNI continues to innovate design and latching options to support commercial and rugged requirements without compromising size, long term reliability, or cost. Wire and cable solutions are all designed around a time-tested interface for long product life cycles. Industrial and PLC applications continue to turn to ERNI for proven mechanical/electrical designs. Innovative shielding options for low and high speed data rates means superior shielding effectiveness and less total systems cost for the OEM. Proven design and manufacturing capabilities continues to position ERNI in long life cycle applications where reliability is required over time.